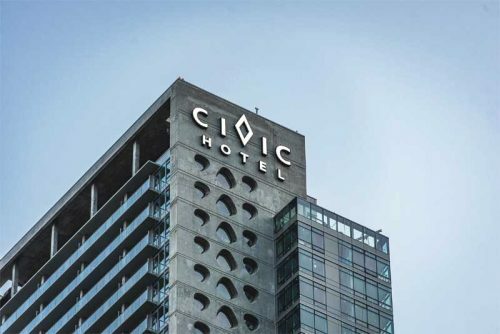 TDH Experiential Fabricators of Surrey, B.C., recently installed logo signage for the city’s new Civic Hotel. 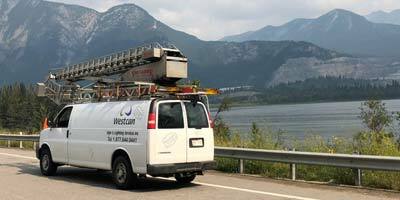 At more than 160 m (525 ft) above the ground, the project is reportedly the highest mounted signage anywhere in Western Canada. 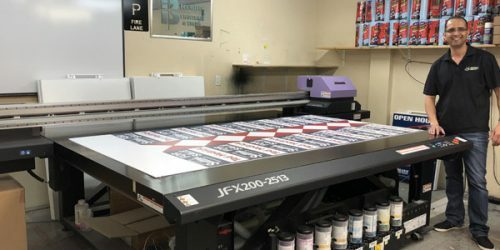 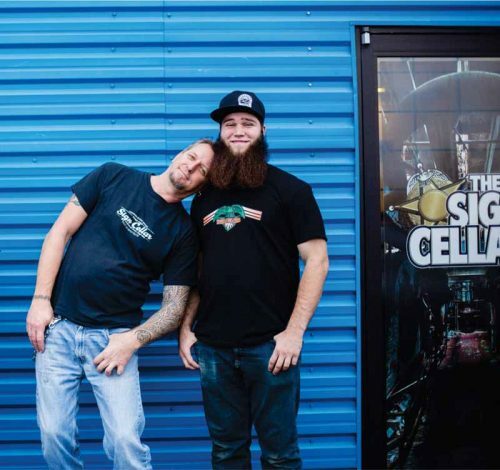 Bourquin Printers & Signs in Abbotsford, B.C., has added its second Mimaki JFX200-2513 ultraviolet-curing (UV-curing) light-emitting diode (LED) flatbed printer, supplied by Focus Pre-Press Systems of Surrey, B.C. 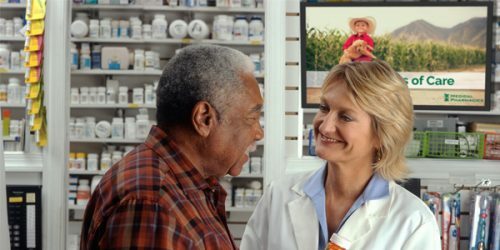 Medical Pharmacies Group, which operates in more than 40 locations in Ontario, Alberta and British Columbia, has selected Charlottetown-based software developer ScreenScape Networks to replace its legacy digital signage system. 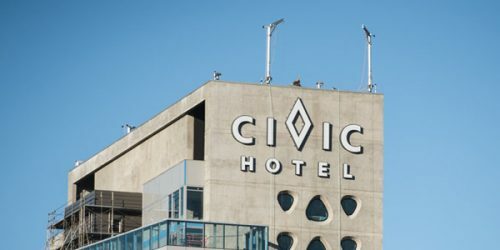 Vancouver’s cruise ship season keeps getting longer each year. 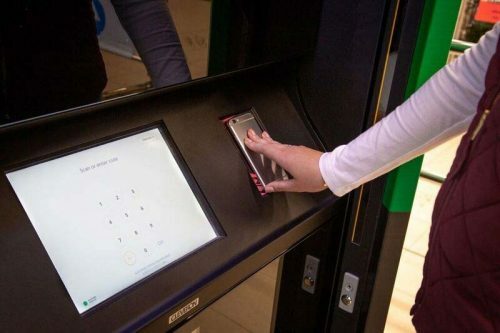 In 2017, the city welcomed more than 840,000 tourists, borne on nearly 240 vessels. 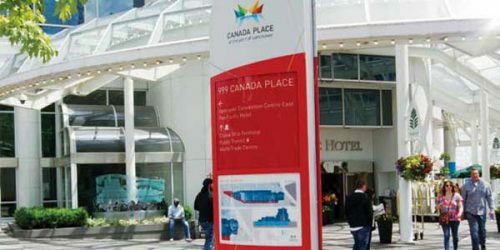 These visitors arrive at the Canada Place cruise ship terminal from all around the world and it can be a challenge to ensure they all get on and off their vessels without any confusion. 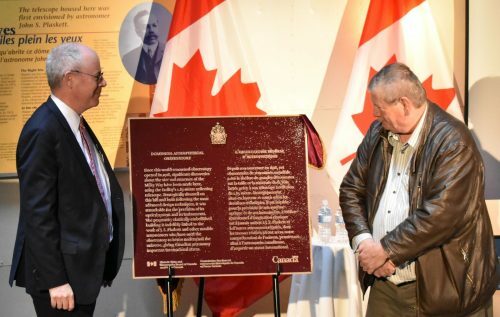 Parks Canada installed a Historic Sites and Monuments Board of Canada plaque earlier this month at the Dominion Astrophysical Observatory in Victoria, recognizing the 100-year-old facility’s contributions to astrophysics. 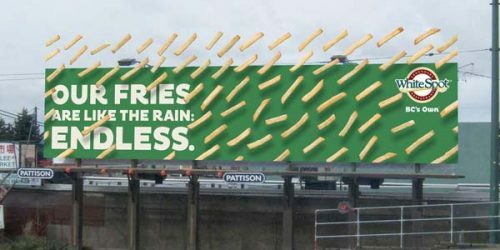 Restaurant chain White Spot has launched ‘BC’s Own,’ its biggest marketing campaign to date, with a mix of eye-catching billboards, transit shelter posters and other media across British Columbia.